Encouraging kids to grow up to be well-rounded individuals is something that every parent or caregiver tries to achieve. We already know that having a pet in the home makes for a memorable childhood, but we perhaps fail to appreciate the more profound effects that pet ownership has upon child development. It is typical to ask friends to become godparents and be involved in our children’s lives, but what about the role of dogparents that our pets perform, sometimes without us even realizing. Aspects such as physical and social development, to name just a couple, are enhanced if a child helps to nurture a pet at home. 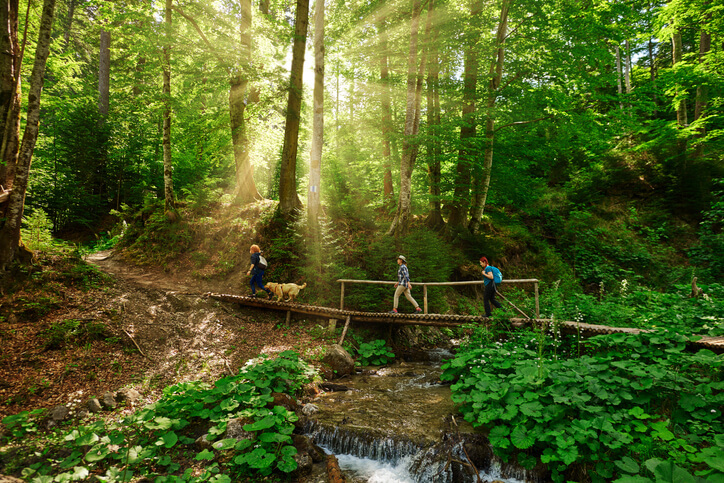 Dog walking is a great form of exercise and an easy way to burn calories. 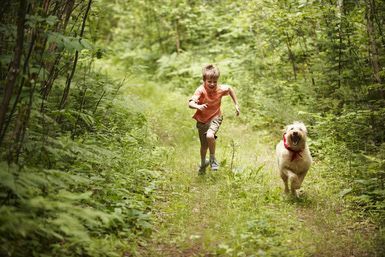 In a world where our kids live more sedentary lives and are more prone to obesity than previous generations, going for a daily walk or run with the dog is a great habit to form. Fantastic for the child’s physical and mental health, it is a habit that can be continued into adulthood. Encouraging a child to be respectful and caring for a pet also transitions into his or her treatment of other people. There are obviously exceptions, but for the most part, children who have been shown how to behave with pets and have looked after a pet have a tendency to become more caring, more compassionate and more responsible adults. Emotional intelligence, interpersonal interaction, and impulse control are vital attributes to have. Acquiring and further developing these strengths can be facilitated by pet ownership. It is very important to note that simply having a pet in the home is not sufficient for these skills to be acquired. It is vital that kids are shown the best ways in which to interact with and treat other living creatures and they often learn these skills from examples set by parents or caregivers. 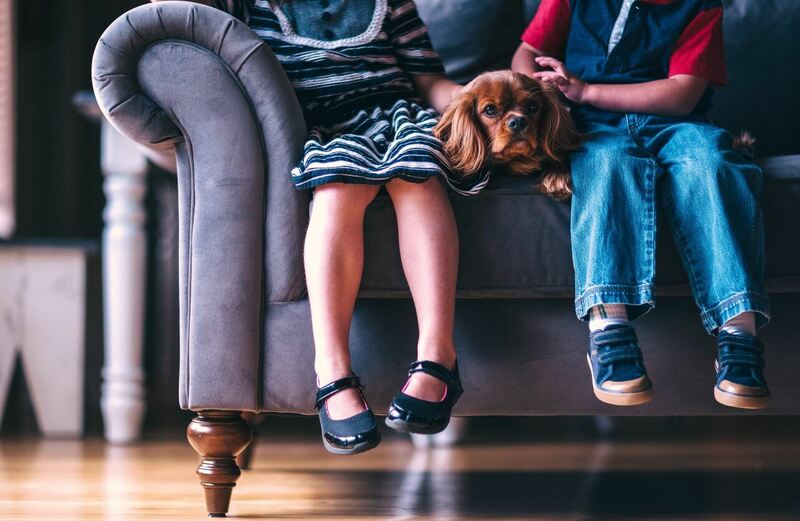 Kids with dogs have plenty of opportunities to learn patience, kindness, sharing, and generosity; all character traits that can help them to develop closer human friendships. In providing care for an animal they also start to develop some basic parenting skills useful for later in life. Cognitive development is the way in which information processing, intelligence, reasoning, language development, and memory all develop through childhood into adulthood. As we know, not all learning takes place in a classroom. Having a pet in the family can help with all aspects of cognitive development. 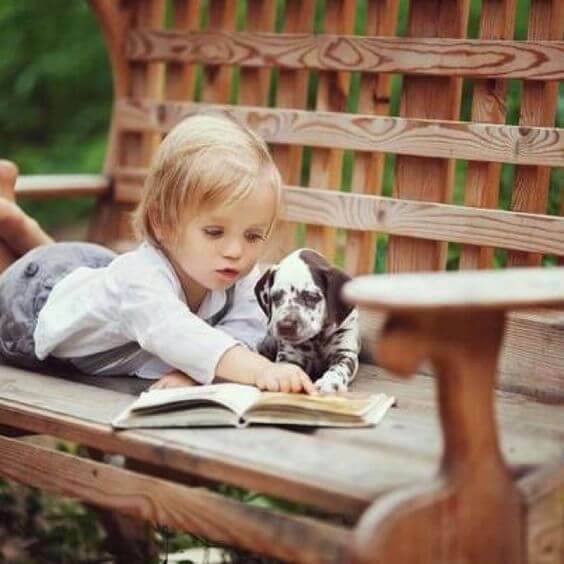 Encouraging a child to read about his own dog’s breed, to be involved in puppy care and the training of the dog, and to be involved in learning how to care for the dog are all valuable ways of learning. Reading skills and confidence improve when a child reads to a pet, and some school districts are introducing READ (Reading Education Assistance Dogs) programs with these benefits in mind. Caring for a dog allows a child to interact with a live being without being judged. This enables self-esteem to build and can help a shy kid overcome timidity. Dogs also make superb service helpers for children living with physical or behavioral health conditions. Interacting with dogs also releases endorphins in a child’s body, making the child happier, more relaxed, and less anxious. 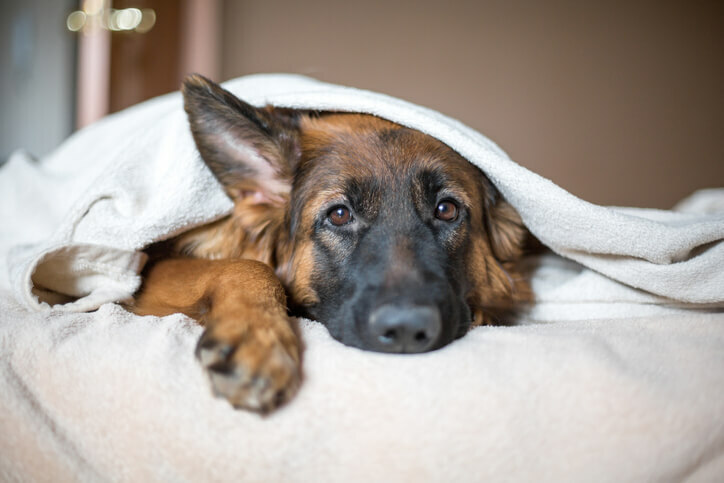 Additionally, as dogs have a relatively short life cycle, children learn about life and death and how to work through the bereavement and grief process. In a 2015 study published in JAMA Pediatrics1, Swedish scientists analyzed the relationship between dog ownership in the first year of a child’s life and the incidence of asthma in children up to the age of six. They found that children in Sweden who have grown up with dogs in the house since birth had a 15% decreased risk of asthma by the time they attended school compared with children whose families did not have a dog. The researchers believe the findings would also be applicable to other developed countries such as the US. How do you increase kid-dog interaction? Get the kids involved! There are lots of little tasks involved in pet care and if your children are involved in some of them it can make them feel important and responsible. For young children, setting up a chart with small rewards for tasks completed can be a good way to start – there are even apps for that these days! Carrying out simple age-appropriate duties like filling the dog bowl with fresh water or measuring out kibble can make children feel more grown up, trusted and helpful. 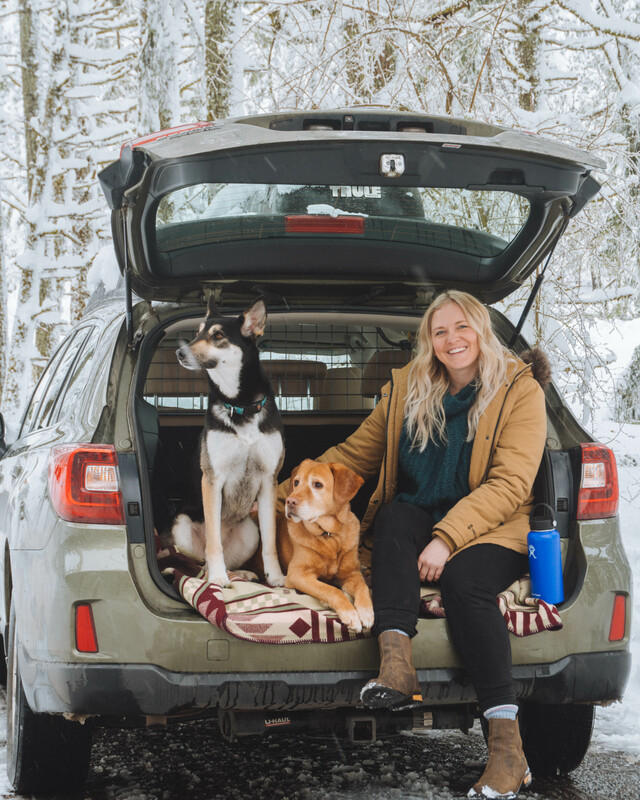 Give your dog extra praise and attention, for being a terrific dogparent, helping you in your quest to raise your kid to be a balanced, content adult. Why not share how having a pet has enhanced your child’s development? We’d love to hear from you. Fall T, Lundholm C, Örtqvist AK, et al. Early exposure to dogs and farm animals and the risk of childhood asthma. JAMA Pediatr. 2015;169:e153219. doi:1001/jamapediatrics. 2015.3219. Epub 2015 Nov.